The Satellite Events Comittee reserves the right to make changes in room assignments based on the number of registrations for each event and the events' special needs. All submissions to workshops and challenges will be managed independently by the respective organizers. The detailed information for each event will be announced on the event's website which is maintained by the event organizers. The websites are expected to be up and running by March 30, 2016. A list of links to the individual websites will be maintained on this web page. Please note that the deadlines for events may differ. All participants are kindly requested to follow the individual events' web sites and contact the respective event organizers regarding event specific questions. For all other inquiries, please contact the Satellite Events Committee at satellites@miccai2016.org. The registration to satellite events will be managed in parallel with the main conference registration, which will be open from April 25, 2016. The fees for registration to half/full-day satellite events will be announced shortly. Understanding brain connectivity in a network-theoretic context has shown much promise in recent years. This type of analysis identifies brain organisational principles, bringing a new perspective to neuroscience. At the same time, large public databases of connectomic data are now available. However, connectome analysis is still an emerging field and there is a crucial need for robust computational methods to fully unravel its potential. This workshop provides a platform to discuss the development of new analytic techniques; methods for evaluating and validating commonly used approaches; as well as the effects of variations in pre-processing steps. The BAMBI workshop aims to highlight the potential of using Bayesian or random field graphical models for advancing research in biomedical image analysis. Probabilistic graphical models provide a framework for describing observed data in a theoretically principled manner, while the construction of and inference on appropriate models requires careful decisions, which necessitate further investigation. Potential applications cover the full scope of medical image analysis: segmentation, registration, classification, fusion, reconstruction, atlas construction, tractography, structural/functional modelling, and population analysis. This forum facilitates a discussion on the foundation of probabilistic data analysis for the advancement of modelling and analysis of medical imaging data. The next-generation of CARE systems promise to integrate multimodal information relative to the patient anatomy, the control status of medical endoscopes and surgical tools, and the actions of surgical staffs to guide endoscopic interventions. To this end, technical advances should be introduced in many areas, such as computer vision, graphics, robotics, medical imaging, external tracking systems, medical device controls systems, information processing techniques, endoscopy planning and simulation. Our objective is to bring together researchers, clinicians, and medical companies to help advance the scientific research in the field of CARE to boost current endoscopic interventions. Original and high-quality papers are encouraged to submit concentrated on innovative research and development in the analysis and advancement of CARE. One of the greatest challenges for mechanists is to extend the success of computational mechanics beyond traditional engineering, in particular to medicine and biomedical sciences. The MICCAI Computational Biomechanics of Medicine XI Workshop provides an opportunity for computational biomechanics specialists to present and discuss the utility of their techniques in computer-integrated medicine. 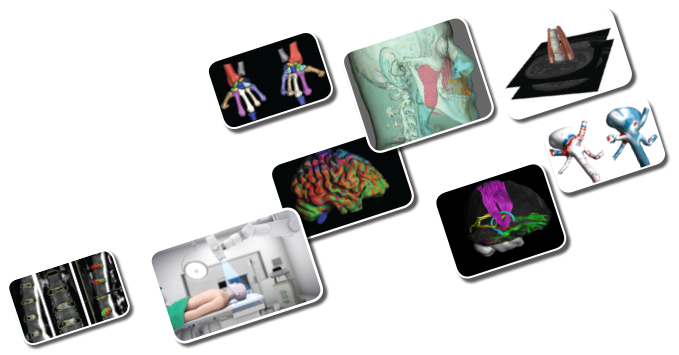 We invite contributions from diverse areas of application of computational biomechanics and continuum modelling, which includes: medical image analysis, image-guided surgery, image-guided therapies, surgical simulation, surgical intervention planning, surgical aid design,disease prognosis and diagnosis, injury mechanism analysis, tissue engineering, artificial organs, implant and prostheses design, and medical robotics. Over the last decade interest in diffusion MRI has exploded. The technique provides measurements sensitive to the microstructure of living tissue and enables in-vivo connectivity mapping of the brain. Computational techniques are key to the continued success and development of diffusion MRI and to its widespread transfer into the clinic. New processing methods are essential for addressing issues at each stage of the pipeline: acquisition, reconstruction, modelling and model fitting, image processing, fibre tracking, connectivity mapping, visualisation, group studies and inference. This full-day workshop, now in the 9th edition, will give a snapshot of the current state of the art. The proliferation of medical image applications has created a need for greater examination of their clinical application and validation. New strategies are essential for a smooth and effective translation of these applications into the clinic. CLIP's major focus has been on translational research filling the gaps between basic science and clinical applications. Members of the MICCAI community are encouraged to submit work centered on specific clinical applications based on comprehensive clinical image data. Submissions related to applications already in clinical use and being evaluated are particularly encouraged. The workshop will serve to strengthen links between computer scientists and engineers, and clinicians. After the success of the 1st DLMIA, held with MICCAI'15, where we welcomed hundreds of attendees, we are proud to present the 2nd DLMIA. Deep learning methods have experienced an immense growth in interest from the medical image analysis community because of their ability to process large training sets, to transfer learned features between different databases, and to analyse multimodal data. DLMIA is a workshop dedicated to the presentation of innovative works that are setting the trends and revealing the challenges of the design and use of deep learning methods in medical image analysis applications. The Medical Image Computing literature traditionally favors fully-automated analysis algorithms that offer the potential high throughput, objective, and reproducible results for large data collections. However fully-automated techniques are not able to handle many time-critical tasks, nor can they handle tasks that require contextual or general knowledge not readily available in the images alone. This workshop addresses the topic of human interaction with algorithms for initialization, steering, quality control, and visualization for problem domains such as segmentation and registration, object detection, tracking. The workshop format encourages hands-on demonstrations to stimulate interaction between developers and the user community of clinicians, neuroscientists, and biologists. Current storage and computational power have motivated the rise of data-driven and machine learning algorithms for facilitating the analysis of medical data. However, labelling of biomedical training data presents specific challenges as it often requires trained skills and involves 3D volumes, time-consuming to annotate. This workshop aims at scientific contributions towards: (i) The reduction of labelling efforts during the construction of new datasets, (ii) The effective use of existing labelled or unlabelled data from images or other sources, (iii) The increase in the accuracy of provided labels, including fusion of annotations from several sources and better assessment of inter-expert variability and label uncertainty. Modern learning algorithms make the promise of bridging the semantic gap between images and diagnoses and even reaching superhuman performance. The goal of this workshop is to explore the use of "big data” algorithms for harvesting, organizing and learning from large-scale medical imaging data sets and for general-purpose automatic understanding of medical images. This includes modern, scalable and efficient algorithms for automatic localization, segmentation, registration and characterization of anatomical features and anomalies. We encourage the submission of original papers that propose new methodology strongly motivated by a clinical application. Submissions will be at the interface of big data analytics, computer vision, machine learning and medical image analysis. Despite the tremendous development of medical image analysis algorithms in the MICCAI community, their translation to clinical practice has been slow, particularly in the area of clinical decision support. The goal of this workshop is to bring together imaging researchers and clinicians working in machine learning on multimodal data sets for clinical decision support and treatment planning to present and discuss latest developments in the field. Specifically, researchers interested in multimodal learning, biomedical imaging, medical image retrieval, data mining, text retrieval, and machine learning/AI communities will be co-located with clinicians who use computer-aided diagnosis and clinical decision support tools to not only discuss new techniques of multimodal learning but also their translation to clinical decision support in practice. Machine learning plays an essential role in the medical imaging field, including computer-aided diagnosis, image segmentation, image registration, image fusion, image-guided therapy, image annotation and image database retrieval. Machine Learning in Medical Imaging (MLMI 2016) is the seventh in a series of workshops on this topic in conjunction with MICCAI 2016. This workshop focuses on major trends and challenges in this area, and it presents work aimed to identify new cutting-edge techniques and their use in medical imaging. OMIA (Ophthalmic Medical Image Analysis) has been successfully organized with MICCAI in the past two years. It aims to bring together scientists, clinicians and students from multiple disciplines in the growing ophthalmic image analysis community, such as electronic engineering, computer science, mathematics, and medicine, to discuss the latest advancements and challenges in the field of retinal image analysis. The primary objectives of the Patch-MI workshop is to discuss new techniques using patch-based approaches and their use in clinical decision support and large cohort studies, and to explore new paradigms in the design of biomedical image analysis systems that exploit the latest results in patch-based processing and exemplar-based methods. Our workshop will feature a keynote speaker, technical paper presentations, poster sessions, and demonstrations of state-of-the-art techniques and concepts that are applied to analyzing medical images. This workshop will provide the opportunity to present and discuss recent advances in pulmonary image analysis. The breadth of modalities and the quantity and quality of image data has increased enormously in the last decade. Recent developments include 4D CT to image lung ventilation and perfusion, hyperpolarized MRI, micro CT for studying small animals, and the increased use of imaging for radiotherapy. We invite papers that deal with all aspects of image analysis of these data, including segmentation, registration, quantification, modeling of the image acquisition process, visualization, validation, statistical modeling, biophysical lung modeling (computational anatomy), deep learning and novel applications. The objective of this workshop is to bring together researchers in the MICCAI community to discuss the challenges of image analysis techniques as applied to the preterm, perinatal and paediatric setting. Advanced medical image analysis allows the detailed scientific study of conditions such as prematurity and the study of both normal singleton and twin development in addition to conditions unique to childhood. This workshop will bring together methods and experience from researchers working on these younger cohorts and will provide a forum for the open discussion of advanced image analysis approaches focused on the analysis of growth and development. This workshop targets researchers for whom the effects of motion are critical in image analysis or visualisation. By inviting contributions across application areas we aim to bring together ideas from different fields without being confined to a particular methodology. In particular, the move from model-based to learning-based methods of modelling over recent years has resulted in increased transferability of techniques between domains. RAMBO provides a forum for the dissemination and discussion of novel developments including, but not limited to, motion modelling, image registration, segmentation, classification, image enhancement, reconstruction, motion tracking, and compressed sensing, for cardiac, respiratory, fetal or interventional applications. The MICCAI community needs data with known ground truth to develop, evaluate, and validate image analysis and reconstruction algorithms. Since synthetic data are ideally suited for this purpose, over the years, a full range of models underpinning image simulation and synthesis have been developed: (i) simplified mathematical models to test segmentation and registration algorithms; (ii) detailed mechanistic models (top-down), which incorporate priors on the geometry and physics of image acquisition and formation processes; and (iii) complex spatio-temporal computational models of anatomical variability, organ physiology, or disease progression. Recently, cross-fertilisation between image computing and machine learning gave rise to data-driven, phenomelogical models (bottom-up) that stem from learning directly data associations across modalities, resolutions, etc. With this, not only the application scope has been expanded but also the underlying model assumptions have been refined to increasing levels of realism. This workshop aims to stimulate the discussion and research in simulation and synthesis approaches, invite new ideas on how to best characterise and evaluate these techniques, and ultimately help bring these two synergistic perspectives closer together. SESAMI aims at presenting leading methods and applications for advanced spectral and shape analysis in medical imaging. Today's image data often represents continuous and time­-varying phenomena, usually with a geometric structure. Shape and geometry processing methods are receiving increased attention, for example, due to their higher sensitivity to local variations relative to traditional markers, such as the volume of a structure. Spectral methods provide a wealth of opportunities for studying complex data and have found many applications in medical image analysis, e.g., due to their smooth-embedding and invariance properties. Brain tumors, white matter lesions, and traumatic injuries all share similar patterns in multimodal images of the brain, calling for similar computational methods in multimodal quantification and lesion analysis. This workshop provides an overview of new advances of brain lesion analysis, gathering researchers from the image computing domain and radiologists/neurologists, with the goal of identifying common strategies and fostering the exchange and discussion across clinical application domains. In addition to invited talks and proffered papers, the BrainLes workshop will host three challenges - on brain tumor analysis (BRATS), stroke lesion analysis (ISLES), and traumatic brain injuries (mTOP). The increase in volume and variety of multi-modal cancer data along with advances in computational power and analytics have given rise to challenges and opportunities in determining optimal strategies for development of systems for clinical decision support and advancement of precision medicine. The Computational Precision Medicine (CPM) will be a full-day event on Oct 21, 2016, composed of short workshops on advances in radio-path-omics and radiomics, and innovative challenges on CT radiomics, classification and nuclei segmentation in digital pathology, and mammographic CAD detection. Submission of poster abstracts for CPM workshops and challenges is encouraged. The objective of this combined workshop and challenge on spinal imaging is to bring together researchers who share a common interest in spine focused research and to attract additional researchers to this field. We are encouraging both submissions of papers on novel methodology and clinical research in the workshop track, and also papers which demonstrate the performance of methods on the provided challenges. Our aim is to cover both theoretical and very practical aspects of computerized spinal imaging. In this workshop, we are inviting researchers to share and exchange their experience and expertise in spinal imaging and method development. The 5th MICCAI-Workshop on Computing and Visualisation for Intravascular Imaging and Computer Assisted Stenting (MICCAI CVII-STENT) aims to bring together scientific researchers, medical experts and industry partners working in the field of endovascular stenting procedures in different anatomical regions, in order to push further innovative and clinically relevant solutions for computer-assisted endovascular procedures. The workshop focuses on imaging, treatment and computer-assisted technological advances in diagnostic and intraoperative imaging, which all offer increasingly useful information regarding vascular anatomy and function. This year, in addition to the regular paper submission, an Intraoperative Endovascular Challenge will be held as part of the workshop. Segmenting the blood pool and myocardium from a 3D cardiovascular magnetic resonance (CMR) image is a prerequisite to create virtual and physical heart models for pre-procedural planning of children with complex congenital heart disease (CHD). Manual segmentation is the most reliable method but performing this on many slices of the 3D CMR image is very labor-intensive and subject to inter- and intra-observer variability. This challenge will provide researchers an opportunity to develop and characterize their novel segmentation algorithms on a newly created and released 3D whole-heart CMR dataset of children with CHD referred for cardiac surgery. M2CAI aims to discuss computer vision and machine learning methods for the analysis, modeling, and monitoring of surgical/interventional processes. It focuses on the next generation of context-aware computer assisted interventional systems that will monitor surgical workflow during real procedures and training sessions. This year, the event will be combined with 2 computer vision challenges whose objective is to assess the methods developed by the community around two central topics promoted by M2CAI in past editions. These challenges involve solving two recognition problems, namely surgical phase recognition and tool presence detection, using a large database of endoscopic videos. Statistical Atlases and Computational Modeling of the Heart (STACOM) workshop has been running annually at MICCAI since 2010. The 7th edition of STACOM workshop will be held on 17th October 2016, with a scope to create a collaborative forum for young/senior researchers (engineers, biophysicists, mathematicians) and clinicians, working on: statistical analysis of cardiac morphology and dynamics, computational modelling of the heart and fluid dynamics, data/models sharing, personalisation of cardiac electro-mechanical models, quantitative image analysis and translational methods into clinical practice. STACOM 2016 will accept 8-page papers (LNCS-Springer format) as regular submissions and for a "Quantification of atrial wall thickness challenge". The goal of this challenge is to evaluate algorithms for automatic reconstruction of neurons and neuronal connectivity from serial section electron microscopy data. The comparison is performed not only by evaluating the quality of neuron segmentations, but also by assessing the accuracy of detecting synapses and identifying synaptic partners. The challenge is carried out on three large and diverse datasets from adult Drosophila melanogaster brain tissue, comprising neuron segmentation ground truth and annotations for synaptic connections. A successful solution would demonstrate its efficiency and generalizability, and carry great potential to reduce the time spent on manual reconstruction of neural circuits in electron microscopy volumes. Lesion segmentation in Multiple Sclerosis (MS) requires the application of image processing workflows that encompass several image improvement processes. The goal of this challenge is to provide a comparative study of algorithms on a common MS database, running on a common computational infrastructure. ?It will provide the community with a snapshot of currently popular methods for lesion segmentation in MS and a sizeable amount of training/test images with high quality segmentations from multiple experts. In addition to an open-access database for the participants, this challenge provides a computing solution, that allows an objective computational benchmarking of the different solutions. The PETSEG challenge will provide a comparative study of a range of state-of-the-art algorithms for PET image segmentation and tumor delineation running on a common computational infrastructure. 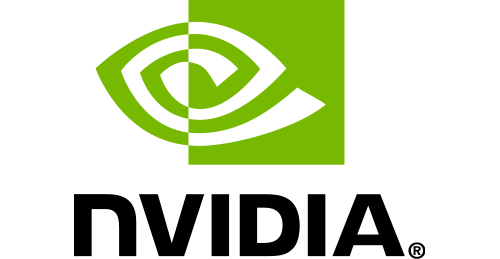 This will allow an objective computational benchmarking of the different solutions. Following the recommendations and thanks to contributions of the AAPM TG211 members, the methods will be compared using a database containing realistic simulated images, as well as physical phantoms and clinical data with associated ground-truth or surrogate of truth. Examples of each type of images will be provided to participants for training beforehand. Tumor proliferation is an important biomarker for breast cancer. The most common method for assessing tumor proliferation is by counting of mitotic figures in hematoxylin & eosin (H&E) stained histological slide preparations. State-of-the-art automatic mitosis detection methods approach the performance of human observers on pre-selected regions of relevant tumor tissue. In more practical scenario, however, mitosis detection must be applied to whole-slide images (WSIs). In addition, the results from the detection of mitotic figures must be summarized in a proliferation score that can be integrated in current prognostic grading systems. The goal of the challenge is to evaluate methods that predict the tumor proliferation score directly from the whole-slide images. Analysis and interpretation of fMRI poses many challenges due to the complexities of the physiological bases underlying the fMRI signal, and the representation and dynamics of the brain processes reflected in the fMRI signal. This event consists of tutorials on state-of-the-art fMRI techniques complementing the main conference. Several emerging topics within the rapidly advancing fMR imaging methods will be covered. The following topics constitute the main focus: 1) advances in comparative and integrative analysis of multimodal data; 2) new approaches to quantify the brain connectome, and 3) applications of advanced fMRI analysis techniques to healthy and pathological functioning of the brain. Understanding human brain function in health and psychiatric disorders remains to be a fundamental challenge in science and medicine. Recent advances in functional and structural neuroimaging enabled precise mapping of brain's functional networks as well as its anatomical connections, called "connectome”. These advances provide a unique opportunity towards understanding the link between the human connectome and the complex dynamics underlying brain function. This tutorial will review state-of-the-art structural and functional neuroimaging techniques and dynamical models of brain activity. It will also discuss how medical image analysis and machine learning techniques can be applied to better understand healthy and diseased brain function. Photoacoustic imaging is an emerging modality in which ultrasound is generated with pulsed or modulated light. It provides molecular contrast that is complementary to conventional ultrasound images. Recently there has been rapid progress with the development of photoacoustic imaging systems and reconstruction algorithms. Different schemes provide wide-field tomographic imaging for non-invasive applications and narrow-field microscopic imaging for interventions. This tutorial will present the foundations of photoacoustic imaging, including the use of an open-source Matlab toolbox. We will describe the state-of-the art in clinical translation, including opportunities and challenges in different fields. The material will be broadly accessible to the MICCAI community. The size of today's datasets makes it impossible to study them on a single desktop machine. This tutorial shows how the XNAT medical imaging platform can team up with the OpenMOLE workflow engine to quickly bring researchers' inhouse pipelines to distributed computing environments. XNAT is one of the most popular platform designed to help manage medical imaging projects by serving as a central data store and workflow system. Queries to a particular subject or whole-dataset processing can be performed using a web interface and the available programming APIs. OpenMOLE combines reusable cutting edge methods and exploratory algorithms, expressed in a high level workflow formalism. The resulting pipelines can benefit from a large range distributed computing environments to scale up to the needs of today's scientific experiments. * Images are courtesy of: A. Leemans, PROVIDI Lab, UMC Utrecht, The Netherlands; E. Keeve, Charite Berlin; CASMIP Lab, The Hebrew U. of Jerusalem, Israel; ©CISTIB, Univ. of Sheffield, UK; CAMMA, ICube., Univ. of Strasbourg, France; Medical Image Analysis, ISTB, Univ. Bern, Switzerland. Copyright 2016 - DEKON Group. All rights reserved.